Holography (meaning writing or drawing in Greek) is the science of producing holograms. It is a technique that allows the light scattered from an object to be recorded and later reconstructed so that it appears as if the object is in the same position relative to the recording medium as it was when recorded. The image produced changes as the position and orientation of the viewing system changes in exactly the same way as if the object were still present. 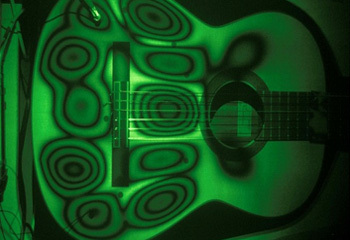 Holograms can also be made using other types of waves. 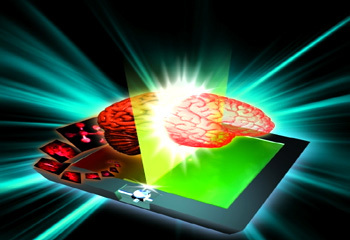 The technique of holography can also be used to optically store, retrieve and process information. 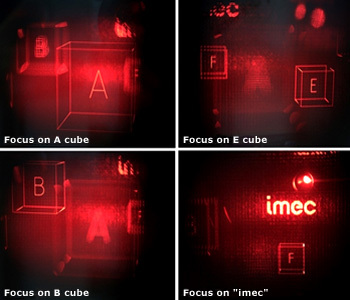 It is common to confuse volumetric displays with holograms, particularly in science fiction works such as Star Trek, Star Wars, Red Dwarf, and Quantum Leap. 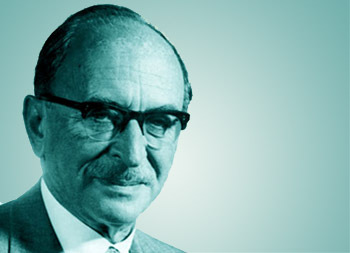 Holography was invented in 1947 by Hungarian physicist Dennis Gabor (Hungarian name: Gábor Dénes) (1900 – 1979), for which he received the Nobel Prize in physics in 1971. It was made possible by pioneering work in the field of physics by other scientists, like Mieczyslaw Wolfke, who resolved technical issues that previously made advancements impossible. The discovery was an unexpected result of research into improving electron microscopes at the British Thomson – Houston Company in Rugby, England. The British Thomson – Houston company filed a patent in December 1947(patent GB685286), but the field did not really advance until the development of the laser in 1960. The first holograms that recorded 3D objects were made by Yuri Denisyuk in the Soviet Union in 1962; later by Emmett Leith and Juris Upatnieks in University of Michigan, USA in 1962. Advances in photochemical processing techniques, to produce high–quality display holograms were achieved by Nicholas J. Phillips. Hologram artwork in MIT Museum in Cambridge, Massachusetts An early display of 3-D effect of holography which is a series of geometric objects (cones, cubes, hoops, circles, etc.) set about a board; the word `HOLOGRAM,' made out of wooden stand-up letters, stretches diagonally into background. 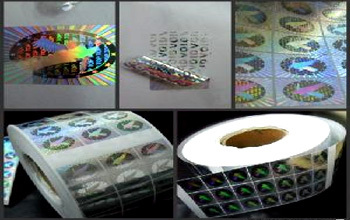 Several types of holograms can be made. Transmission holograms, such as those produced by Leith and Upatnieks, are viewed by shining laser light through them and looking at the reconstructed image from the side of the hologram opposite the source. A later refinement, the “rainbow transmission” hologram allows more convenient illumination by white light rather than by lasers or other monochromatic sources. Rainbow holograms are commonly seen today on credit cards as a security feature and on product packaging. These versions of the rainbow transmission hologram are commonly formed as surface relief patterns in a plastic film, and they incorporate a reflective aluminium coating which provides the light from “behind” to reconstruct their imagery. Another kind of common hologram, the reflection or Denisyuk hologram, is capable of multicolor image reproduction using a white light illumination source on the same side of the hologram as the viewer. One of the most promising recent advances in the short history of holography has been the mass production of low–cost solid–state lasers typically used by the millions in DVD recorders and other applications, but which are sometimes also useful for holography. These cheap, compact, solid–state lasers can under some circumstances compete well with the large, expensive gas lasers previously required to make holograms, and are already helping to make holography much more accessible to low–budget researchers, artists, and dedicated hobbyists. A hologram of a complex object can be considered to be a set of point sources. Though holography is often referred to as 3D photography, this is a misconception. A better analogy is sound recording where the sound field is encoded in such a way that it can later be reproduced. 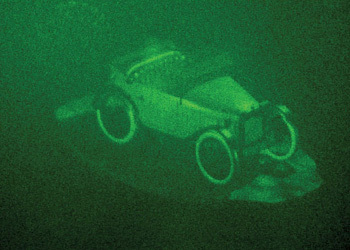 In holography, some of the light scattered from an object or a set of objects falls in the recording medium. A second light beam, known as the reference beam, also illuminates the recording medium, so that interference occurs between the two beams. The resulting light field is an apparently random pattern of varying intensity which is the hologram. It can be shown that if the hologram is illuminated by the original reference beam, a light field is diffracted by the reference beam which is identical to the light field which was scattered by the object or objects. Thus, someone looking into the hologram ’sees‘ the objects, even though they may no longer be present. There are a variety of recording materials which can be used, including photographic film. Interference occurs when one or more wavefronts are superimposed. Diffraction occurs whenever a wavefront encounters an object. The process of producing a holographic reconstruction is explained below purely in terms of interference and diffraction. It is somewhat simplistic, but is accurate enough to provide an understanding of how the holographic process works. A diffraction grating is a structure with a repeating pattern. A simple example is a metal plate with slits cut at regular intervals. Light rays traveling through it are bent at an angle determined by 'λ' (the wavelength of the light) and d (the distance between the slits) is given by sinθ = λ/d. A very simple hologram can be made by superimposing two plane waves from the same light source. One (the reference beam)hits the photographic plate normally and the other one (the object beam) hits the plate at an angle θ. The relative phase between the two beams varies across the photographic plate as (2π y sinθ)/λ, where y is the distance along the photographic plate. The two beams interfere with one another to form an interference pattern. The relative phase changes by 2π at intervals of d = λ/sinθ. So the spacing of the interference fringes is given by d. Thus, the relative phase of the object and reference beam is encoded as the maxima and minima of the fringe pattern. When the photographic plate is developed, the fringe pattern acts as a diffraction grating and when the reference beam is incident upon the photographic plate, it is partly diffracted into the same angle θ at which the original object beam was incident. Thus, the object beam has been re–constructed. The diffraction grating created by the two waves interfering has reconstructed the “object beam” and it is therefore a hologram as defined above. A slightly more complicated hologram can be made using a point source of light as object beam and a plane wave as reference beam to illuminate the photographic plate. An interference pattern is formed which in this case is in the form of curves of decreasing separation with increasing distance from the center. Refer figure at the bottom. The photographic plate is developed giving a complicated pattern which can be considered to be made up of a diffraction pattern of varying spacing. When the plate is illuminated by the reference beam alone, it is diffracted by the grating into different angles which depend on the local spacing of the pattern on the plate. It can be shown that the net effect of this is to re–construct the object beam, so that it appears that the light is coming from a point source behind the plate, even when the source has been removed. 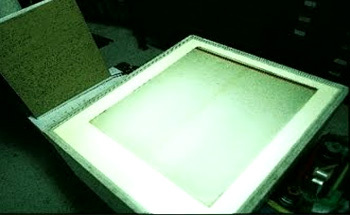 The light emerging from the photographic plate is identical to the light emerging when the point source which used to be there. An observer looking into the plate from the other side will 'see' a point source of light, whether the original source of light is there or not. This sort of hologram is effectively a concave lens, since it ‘converts’ a plane wavefront into a divergent wavefront. It will also increase the divergence of any wave which is incident on it in exactly the same way as a normal lens does. Its focal length is the distance between the point source and the plate. The diagram shows the optical arrangement for making a hologram of a complex object. The laser beam is split in two by the beam splitter. One beam illuminates the object which then scatters light onto the recording medium. The second (reference) beam illuminates the recording medium directly. According to diffraction theory, each point on the object acts as a point source of light. Each of these point sources interferes with the reference beam, giving rise to an interference pattern. The resulting pattern is the sum of a large number (strictly speaking, an infinite number) of point sources and reference beam interference patterns. The diagram on the right shows the optical arrangement for re–constructing the object beam. The object is no longer present and the hologram is illuminated by the reference beam. Each point source diffraction grating will diffract part of the reference beam to re–construct the wavefront from its point source. These individual wavefronts add together to reconstruct the whole of the object beam. The viewer perceives a wavefront which is identical to the wavefront scattered by the object, so that it appears to him/her that the object is still in place. This image is known as a virtual image as it is generated even though the object is no longer there. This explains, though in somewhat simplistic terms, how transmission holograms work. Other holograms, such as Rainbow and Denisyuk holograms are somewhat more complex, but the principles are the same. 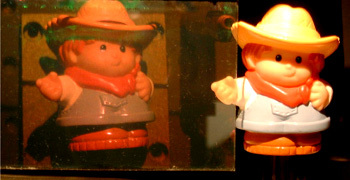 The picture at left is a photograph of a hologram recorded with photographic emulsion which was taken against a diffused light background. The area shown is about 8mm × 8mm. The holographic recording is the random variation in intensity which is a speckle pattern and not the regular lines which are likely to be due to interference arising from reflections in the glass plate on which the photographic emulsion is mounted. It is no more possible to discern the subject of the hologram from this than it is to identify the music on a gramophone record by looking at the structure of the tracks. 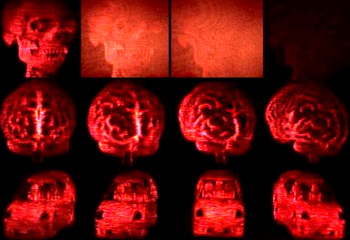 When this hologram is illuminated by an appropriate light wave, the viewer will see the object used to make it (in this case, a toy van!!) because the light is diffracted by the hologram to re–construct the light which was scattered from the object. When you look at a scene, each eye captures a portion of the light scattered from the scene and the lens of the eye forms an image of the scene on the retina, in which light from each angular position is focused to a specific angular position in the image plane. Since the hologram reconstructs the whole of the scattered light field which was incident on the hologram, the viewer sees the same image, whether this is derived from the light field scattered from the object, or the reconstructed light field produced by the hologram. If the viewer moves about, the object will appear to move in exactly the same way whether he/she is looking at the original light field or the reconstructed light field. If there are several objects in the scene, they will exhibit exactly the same parallax effect in either case. The viewer is unable to tell whether the object is there or not. It should be clear from this why a hologram is not a 3D photograph. A photograph records the image of the recorded scene from a single viewpoint, which is defined by the position of the camera lens. The hologram is not an image, but an encoding system which enables the scattered light field to be reconstructed. Images can then be formed from any point in the reconstructed beam either with a camera or by eye. It was very common in the early days of holography to use a chess-board as the object, and then take photographs at several different angles using the reconstructed light to show how the relative positions of the chess–pieces appeared to change. The viewer will, of course, get depth information from the hologram if he/she is using both eyes (stereoscopic vision) in exactly the same way as when he/she is viewing the real scene. Since each point in the hologram contains light from the whole of the original scene, the whole scene can, in principle, be re–constructed from a single point in the hologram. To demonstrate this concept, you can break the hologram into small pieces and you can still sees the entire object from each small piece. If you envisage the hologram as a ‘window’ on the object, then each small piece of a hologram is just a part of the window from which you can still view the object even if the rest of the window is blocked off. You do, however, lose resolution as you decrease the size of the hologram in the same way you do by reducing the size of the aperture in a camera – the scene becomes ‘fuzzier’. 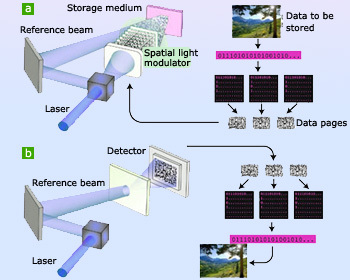 The object and the reference beams must be able to produce an interference pattern which is stable during the time in which the holographic recording is made. To do this, they must have the same frequency and the same relative phase during this time, that is, they must be mutually coherent. Many laser beams satisfy this condition, and lasers have been used to make holograms since their invention, though it should be noted that the first holograms by Gabor used ‘quasi–chromatic’ light sources. In principle, two separate light sources could be used if the coherence condition could be satisfied, but in practice a single laser is always used. In addition, the medium used to record the fringe pattern must be able to resolve the fringe patterns. The spacing of the fringes depends on the angle between the object and reference beams. 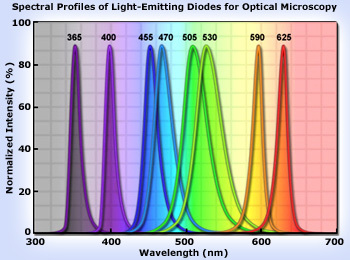 For example, if this angle is 45°, and the wavelength of the light is 0.5 μm, the fringe spacing is about 0.7 μm or 1300 lines/mm. A working hologram can be obtained even if all the fringes are not resolved, but the resolution of the image is reduced as the resolution of the recording medium reduces. Mechanical stability is also very important when making a hologram. Any relative phase change between the object and reference beams due to vibration or air movement will cause the fringes on the recording medium to move, and if the phase changes are greater than 'p', the fringe patterns are averaged out, and no holographic recording is obtained. Recording time can be several seconds or more, and given that a phase change of 'p' is equivalent to a movement of λ/2, this is quite a stringent stability requirement. Generally, the coherence length of the light determines the maximum depth in the scene of interest which can be recorded holographically. A good holography laser will typically have a coherence length of several meters, ample for a deep hologram. Certain pen laser pointers have been used to make small holograms. The size of these holograms is not restricted by the coherence length of the laser pointers (which can exceed several meters), but by their low power of below 5 mW. The objects which form the scene must, in general, have optically rough surfaces so that they scatter light over a wide range of angles. A specularly reflecting (or shiny) surface reflects the light in only one direction at each point on its surface, so in general, most of the light will not be incident on the recording medium. It should be noted that the light scattered from objects with a rough surface forms an objective speckle pattern which has a random amplitude and phase. The reference beam is not normally a plane wavefront; it is usually a divergent wavefront which is formed by placing a convex lens in the path of the laser beam. 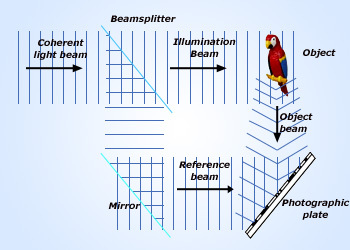 To re–construct the object exactly from a transmission hologram, the reference beam must have the same wavelength, the same curvature, and must illuminate the hologram at the same angle as the original reference beam. Any slight departure from any of these conditions will give a distorted re–construction and if the difference between the reconstruction and original reference beam is too great, no re–construction is obtained. Exact re–construction is achieved in holographic interferometry where the holographically re–constructed wavefront interferes with the live wavefront, to map out any displacement of the live object and gives a null fringe if the object has not moved. Holographic recording media Holographic recording and reading processes. a, The data are digitized, formed into pages of data with which the signal beam is modulated to write on the storage medium. b, A reference beam is shone onto the storage medium and the modulation of the diffracted light is detected to reconstruct the original data. The recording medium must be able to resolve the interference fringes as discussed above. It must also be sufficiently sensitive to record the fringe pattern in a time period short enough for the system to remain optically stable, i.e any relative movement of the two beams must be significantly less than λ/2. The recording medium has to convert the interference pattern into an optical element which modifies either the amplitude or the phase of a light beam which is incident upon it. These are known as amplitude and phase holograms respectively. In amplitude holograms the modulation is in the varying absorption of the light by the hologram, as in a developed photographic emulsion which is less or more absorptive depending on the intensity of the light which illuminated it. In phase holograms, the optical distance (i.e. the refractive index or in some cases the thickness) in the material is modulated. Most materials used for phase holograms reach the theoretical diffraction efficiency for holograms, which is 100% for thick holograms (Bragg diffraction regime) and 33.9% for thin holograms (Raman–Nath diffraction regime, holographic films of typically some μm thickness). Amplitude holograms have a lower efficiency than phase holograms and are therefore used more rarely. To know more about the materials for holographic recordings click here. 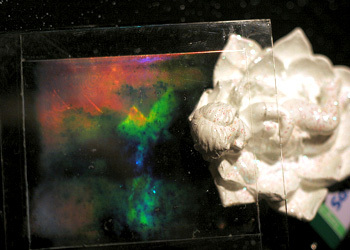 An existing hologram can be replicated, either in an optical way similar to holographic recording, or in the case of surface relief holograms, by embossing. Surface relief holograms are recorded in photoresists or photothermoplastics, and allow cheap mass reproduction. 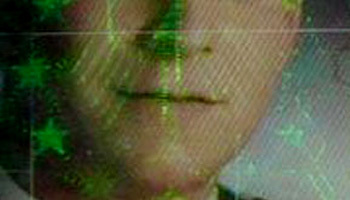 Such embossed holograms are now widely used, for instance, as security features on credit cards or quality merchandise. The Royal Canadian Mint even produces holographic gold and silver coinage through a complex stamping process. The first book to feature a hologram on the front cover was The Skook (Warner Books, 1984) by JP Miller, featuring an illustration by Miller. To know the embossing process in detail click here. Holography can be put to a variety of uses other than recording images. Holographic data storage is a technique that can store information at high density inside crystals or photo polymers. The ability to store large amounts of information in some kind of media is of great importance, as many electronic products incorporate storage devices. 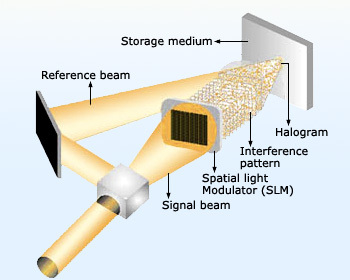 As current storage techniques such as Blu–ray reach the denser limit of possible data density (due to the diffraction–limited size of the writing beams), holographic storage has the potential to become the next generation of popular storage media. The advantage of this type of data storage is that the volume of the recording media is used instead of just the surface. Currently available SLMs can produce about 1000 different images a second at 1024 × 1024 – bit resolution. With the right type of media (probably polymers rather than something like LiNbO3), this would result in about 1 gigabit per second writing speed. 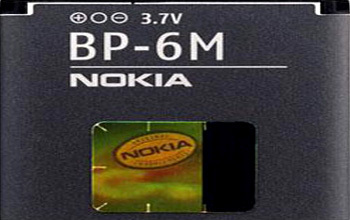 Read speeds can surpass this and experts believe 1 – terabits per second readout is possible. Holographic interferometry (HI) is a technique which enables static and dynamic displacements of objects with optically rough surfaces to be measured with optical interferometric precision (i.e to fractions of a wavelength of light). It can also be used to detect optical path length variations in transparent media, which enables, for example, fluid flow to be visualized and analyzed. It can also be used to generate contours representing the form of the surface. It has been widely used to measure stress, strain, and vibration in engineering structures. Security holograms are very difficult to forge because they are replicated from a master hologram which requires expensive, specialized and technologically advanced equipment. They are used widely in many currencies such as the Brazilian real 20 note, British pound 5/10/20 notes, Canadian dollar 5/10/20/50/100 notes, Euro 5/10/20/50/100/200/500 notes, South Korean won 5000/10000 notes, Japanese yen 5000/10000 notes, etc. They are also used in credit and bank cards as well as quality products. 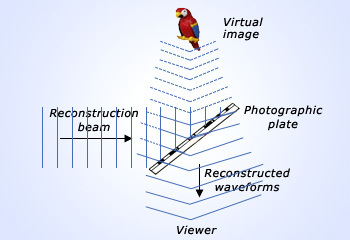 The discussion above describes static holography, in which recording, developing and reconstructing occur sequentially and a permanent hologram is produced. There exist also holographic materials which don't need the developing process and can record a hologram in a very short time. This allows to use holography to perform some simple operations in an all–optical way. 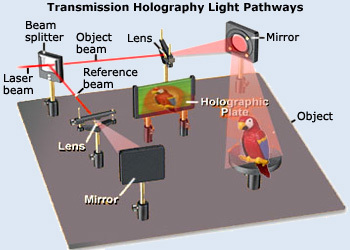 Examples of applications of such real–time holograms include phase–conjugate mirrors (“time–reversal” of light), optical cache memories, image processing (pattern recognition of time–varying images), and optical computing. The amount of processed information can be very high (terabyte/s), since the operation is performed in parallel on a whole image. This compensates the fact that the recording time, which is in the order of a μs, is still very long compared to the processing time of an electronic computer. The optical processing performed by a dynamic hologram is also much less flexible than electronic processing. On one side one has to perform the operation always on the whole image and on the other side the operation a hologram can perform is basically either a multiplication or a phase conjugation. But remember that in optics, addition and Fourier transforms are already easily performed in linear materials, the second simply by a lens. This enables some applications like a device that compares images in an optical way. The search for novel nonlinear optical materials for dynamic holography is an active area of research. The most common materials are photo refractive crystals, but also in semiconductors or semiconductor hetero structures (such as quantum wells), atomic vapors and gases, plasma and even liquids it was possible to generate holograms. A particularly promising application is optical phase conjugation. It allows the removal of the wavefront distortions a light beam receives when passing through an aberration medium, by sending it back through the same operating medium with a conjugated phase. This is useful, for example, in free–space optical communications to compensate for atmospheric turbulence (the phenomenon that gives rise to the twinkling of starlight). 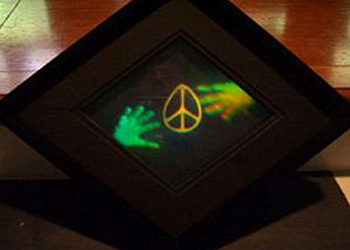 ‘Peace Within Reach’ a Denisyuk DCG hologram by amateur Dave Battin. Earlier, artists saw the potential of holography as a medium and gained access to science laboratories to create their work. Holographic art is often the result of collaborations between scientists and artists, although some holographers would regard themselves as both an artist and scientist. Salvador Dalí claimed to have been the first to employ holography artistically. He was certainly the first and most notorious surrealist to do so, but the 1972 New York exhibit of Dalí holograms had been preceded by the holographic art exhibition which was held at the Cranbrook Academy of Art in Michigan in 1968 and by the one at the Finch College gallery in New York in 1970, which attracted national media attention. 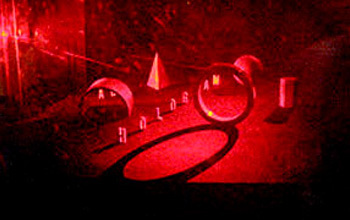 During the 1970’s a number of arts studios and schools were established, each with their particular approach to holography. Notably, there was the San Francisco School of holography established by Llyod Cross, The Museum of Holography in New York, founded by Rosemary (Possie) H. Jackson, the Royal College of Art in London and the Lake Forrest College Symposiums organized by Tung Jeong (T.J). None of these studios still exist, however, there is the Center for the Holographic Arts in New York and the HOLOcenter in Seoul which offer artists a place to create and exhibit work. A small but active group of artists uses holography as their main medium and many more artists integrate holographic elements into their work. The MIT Museum and Jonathan Ross both have extensive collections of holography and on–line catalogues of art holograms. Since the beginning of holography, experimenters have explored the uses of holography. Starting in 1971 Lloyd Cross started the San Francisco School of Holography and started to teach amateurs the methods of making holograms with inexpensive equipment. This method relied on the use of a large table of deep sand (invented by Jerry Pethic) to hold the optics rigid and dampen vibrations that would destroy the image.